Louisville is a town for foodies, where you can experience delicious well-prepared food in home kitchens and in the many fine restaurants all around town. Louisville's cuisine has Southern roots, so fried chicken, country fried steak, and fried catfish and hush puppies are popular main dishes, with sides of green beans, fried green tomatoes, greens,Pinto beans, cheese grits, or fried okra. We love barbeque, especially with our favorite local sauce, with a vinegar based tang. 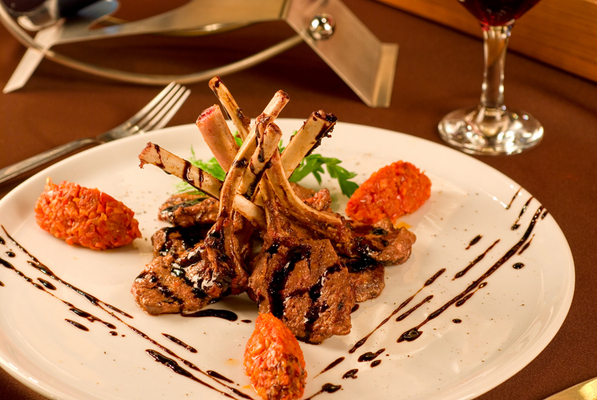 In 2005, the owners of five local restaurants coined the named to support local restaurants. Started by the owners of five local restaurants - De La Torres, Baxter Station, Asiantique, Irish Rover and Café Lou Lou --the membership now includes over 60 restaurants who offer all different types of food. 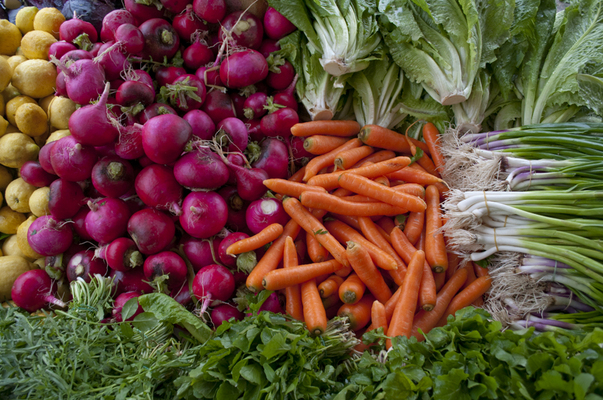 Many promote using meats and vegetables produced in the region and promote this as "Farm to Table," an effort is conceived, endorsed, and promoted by the City of Louisville. Kentucky is the country's five largest center of family farms. Tobacco has always been the largest cash crop, but as tobacco decreases in importance, farmers are diverting their production to other types of crops. 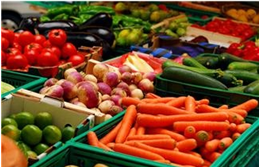 A study by the Louisville Metro's Department of Economic Growth and Innovation working with The Local Food Economy Work Group discovered that Louisville has a potential $3 billion food market that area farmers could fill. The report underscored the need to create relationships between local farmers, distributors, and consumers. Louisville Farm to Table's (LFtT) mission is to increase the capacity of the local food system by working to increase production, marketing, distribution and sales of Kentucky edible agriculture products and to meet the demand of Louisville's market for local foods. The effort includes brokering deals and relationships, creating public forums to identify and overcome barriers to progress, and working with institutions such as Jefferson County Public Schools. The goal is to make the flow of Kentucky-grown products into the city more seamless, giving easier access to the folks who are interested in procuring local products. Food to Table also fits in with the Mayor's Healthy Hometown initiative to encourage Louisvillians to exercise and eat healthier food. There are about 20 farmers' markets in the Louisville area open from April or May though October. Local restaurateurs have risen to the challenge. At the Mayan Café, owner Bruce Ucan shops the Bardstown Road Farmers' Market to buy seasonal fruits, vegetables, eggs, and meats. The bounty of Louisville shows up in signature dishes such as chili rellano, a poblano chile stuffed with seasonal local vegetables, potatoes, and mozzarella cheese and covered in a light tomato sauce. Several local restaurants and their chefs are award-winning and nationally known Dean Corbett, executive chef and owner of Corbett's, An American Place, Equus, and Jack's Lounge, was honored by Sullivan University with its first Regional Distinguished Visiting Chef award. His newest restaurant, Corbett's was named by Esquire as one of America's best new restaurant, as was Proof on Main at the 21c Hotel downtown. Two other local chefs, Edward Lee of 610 Magnolia, and Anthony Lamas of Seviche, appeared on the Food Network and were semi-finalists for Best Chef: Southeast in the 2011 James Beard Foundation Restaurant and Chef Awards. Some famous dishes originated at Louisville restaurants. 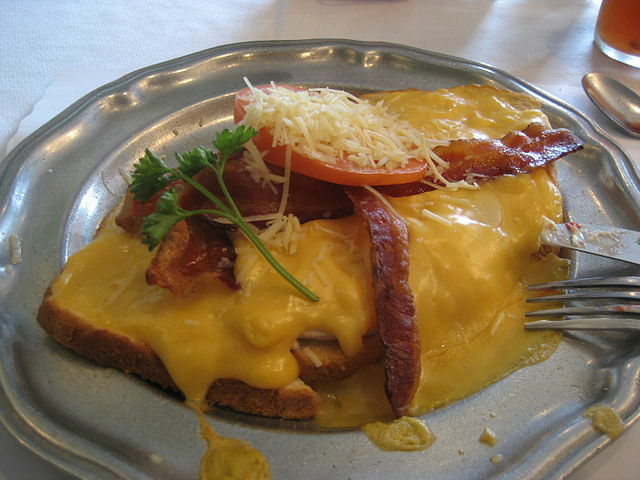 The Hot Brown sandwich, an open-faced chicken and baconsandwich, covered in Mornay cheese sauce, was first created at the Brown Hotel in 1926. Derby Pie®, pecan pie with an infusion of chocolate chips, originated at the Melrose Hotel in Prospect, KY, and is currently made by Kern's Kitchen, who trademarked the name. Benedictine, a popular cocktail spread made of cucumber, onions, and cream cheese was concocted by restaurateur and caterer Jennie Benedict in the early 1900's. Whether you crave old favorites or the latest cuisine, Louisville serves it up.